From January to mid-July of this year there have been 20 incidents including accidents, murders and domestic violence, where alcohol consumption was a major contributing factor. 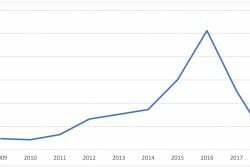 This figure is taken from Stabroek News’ records and likely reflects only a small number of what has been long seen as a serious national problem which isn’t being addressed. Earlier this year, anti-alcohol abuse advocates spoke with Stabroek News extensively about the negative social impacts alcohol consumption is having particularly on the family and the health care system. This newspaper subsequently did a compilation of cases reported between January 1, 2013 and June 21, 2013 and found 20; cases were recorded in every month. In January there were two reported incidents. 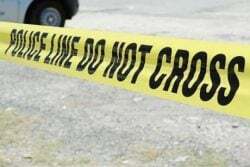 The first occurred on January 14 when a man who admitted being under the influence drove his vehicle into a shop at Industry, East Coast Demerara and fled. 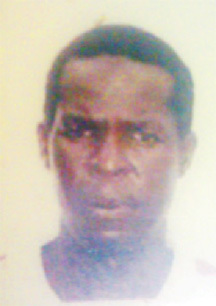 The man left the car, a Toyota Runx with licence plate PLL 7179, behind but he later returned. He reportedly told the shop’s owner that that it was his birthday and he had been drinking with some friends. The incident occurred around 5 am. On January 15, a woman and her sister were chopped multiple times at Bath Settlement, West Coast Berbice, in an attack carried out by her drunken common-law husband. 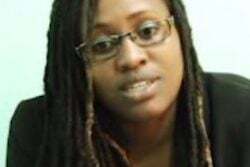 Haymatie Kowchaie, 30, and her sister, Omwattie Persaud, 43, of Covent Garden, East Bank Demerara, were chopped about their bodies by Kowchaie’s husband. Kowchaie sustained injuries to her head, hands and shoulder, while Persaud was chopped to her right foot, left shoulder and hand. Both women had to be hospitalised. It is unclear what action was taken against the man. In February this newspaper reported on four alcohol related cases which included a fatal accident at Mon Repos, ECD on February 3 and a murder on Mashramani day. 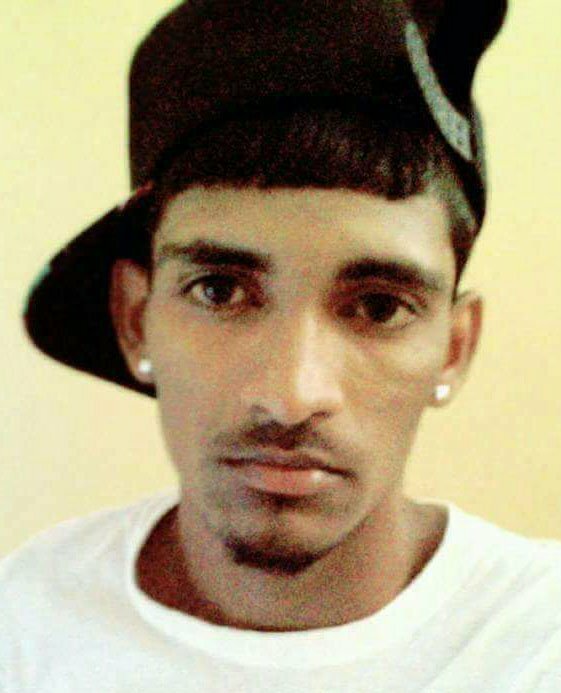 In the accident, a 17-year-old identified as Gidram Rasiawan allegedly drove his pick-up head-on into a Route 44 minibus killing the minibus driver Godfrey Gilbert Daniels, 47, of Berbice and Shondel Alana Yaw, 33, of Beterverwagting, East Coast Demerara. Eleven persons from the minibus had to be rushed to the hospital for medical attention. Police had said that Rasiawan was tested and found to be over the legal limit. He was subsequently charged with driving under the influence, denied the charge and was placed on $7,500 bail. 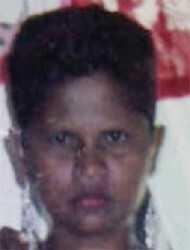 Indira Veerasammy, 44, an alcoholic was found dead in a drainage canal near a koker at Grove, East Bank Demerara on February 11 just over 12 hours after she left her home. The woman’s son had said that his mother would regularly go out early in the afternoon to a bar in Diamond and return home around 9 pm, sometimes in a drunken state. 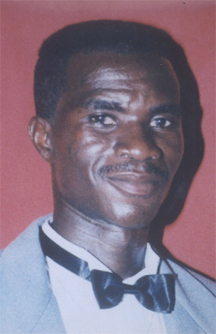 Special Corporal Clarence Giles was found hanging in his home at Vigilance on Mash Day. His wife said that he arrived home under the influence of alcohol and accused her of having an affair with another man. He was found hanging the following morning. On February 23, Kumar Mohabir was stabbed to death and his brother Navindra injured after they were attacked by a gang of men who were drinking at the time. The attack occurred on Vlissengen Road, between Barr Street and Shell Road, just after 7 pm. In a statement, the police said investigations revealed that Kumar went to a bar to make a purchase but he became involved in an argument with a group of men, during which he was stabbed about his body with broken bottles. Navindra, 30, went to his assistance and was also repeatedly stabbed. 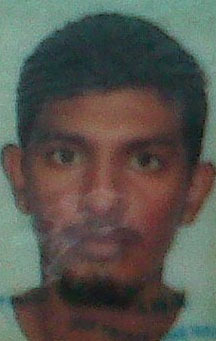 One month later a teenager was charged with Mohabir’s murder. Three alcohol related cases occurred in March. 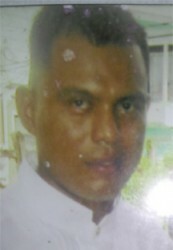 On March 3, Patrick Lester was killed after he was hit by a speeding drunk driver on the Nabaclis public road, ECD. 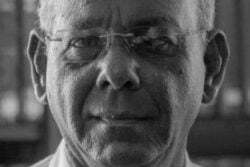 On March 8, Nazir Rahim was sentenced to nine months in jail after he admitted to a magistrate that he had assaulted his wife with a rum bottle. Then on March 9, nine-year-old Nikesha James and Phillip Adams died after the small vessel they were travelling in was run over by a larger boat at Canal Bank, Port Kaituma sometime after 8 pm. The larger boat fled without rendering any assistance. The two men inside were said to be intoxicated. April was the only month where only one case was recorded. Robert Hunter, according to the police was found along a trail at Imbaimadai with suspected stab wounds to the neck and chest. Investigations had revealed that Hunter had earlier been involved in an argument over alcohol with a man at a nightspot while they were imbibing. There were three more cases in May. Among them was the attempted attack on a pregnant woman at Barnwell Squatting area, East Bank Demerara. Reports were that on May 4, Mark Anthony Fredericks, 33, and the woman were drinking in the Barnwell Squatting area when Fredericks made sexual advances towards the woman. The woman, said to be 27 and a mother of five who was four months pregnant at the time, rejected the man’s advances and stabbed him with a small knife in the process. Fredericks went home with the wound and refused to go to the hospital. He died several hours later. A post-mortem examination subsequently revealed that he died from TB and not the stab wound. 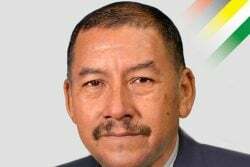 On June 8, Demerara Distillers Limited Manager Harrybarran Singh died after a speeding vehicle struck him down as he was crossing Sheriff Street on his way to his Garnett Street residence. A woman had told this newspaper that the driver was a young man and that he appeared highly intoxicated, barely able to walk and that he kept holding his head as he watched the man on the road. Caesar Bradford died at the Georgetown Hospital on June 16, two days after he was stabbed at St Mary’s, Essequibo River during a drinking row. On June 30, Anniesha Persaud of Rose Hall Town was killed after she was struck down by a drunk driver. 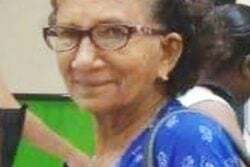 It was reported that around 00:30 hrs, Persaud called Annie, 23, was struck down while crossing the Port Mourant Public Road. Persaud was struck down by a Surinamese vehicle (38 29 ZP) which was being driven by Sarwan Kumar Outar. After the accident occurred, he failed to stop and fled the scene. He was later apprehended by public-spirited citizens and handed over to the police station where he was taken into custody and given a breathalyzer test. Outar, a resident of Suriname was later charged with driving under the influence, causing death by dangerous driving, failure to render assistance to an injured person at an accident scene and failure to stop after an accident where injuries were caused. From July 1 to 22 three cases were recorded. Tang Millington, 37, formerly of Santa Cruz, Barama River was discovered dead sitting in a chair with a rope around his neck on July 7. He had earlier been drinking. His family said that he was facing issues prior to his death. Gold miner Merwin George appeared in court on July 10 charged with attacking another miner with a cutlass, after confusing him with someone else he had had a fight with at a rum shop. He was remanded to prison. On July 21, the remains of Martin D’Aguiar were found in his burnt Crabwood Creek home and relatives said that he was an alcoholic. 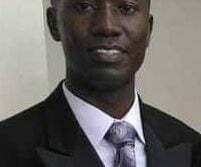 His sister Joyce had told Stabroek News that the 35-year-old sugar worker was a heavy drinker and posited that he probably left the lamp lit while he was intoxicated. Health Minister Dr Bheri Ramsaran had told Stabroek News that the fight against the effects of alcoholism continues. He noted that for it to be effectively tackled there must be a multi-sector initiative which involves his ministry, the Ministry of Education and the Ministry of Culture, Youth and Sport. He said too that schools can be used as change agents. 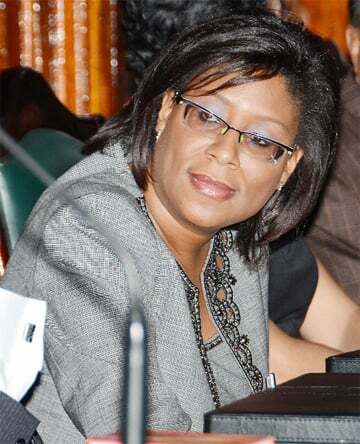 Back in 2008, then minister of health Dr Leslie Ramsammy had said that alcohol abuse costs the health sector millions of dollars a year in hospital bills alone. 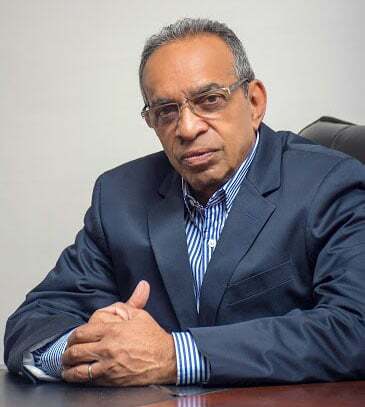 For years, he has warned that alcoholism is a serious health problem and while the ministry had taken small steps to address the issue, he admitted that there was still much more to be done. The then minister had noted that alcohol contributes to a host of negatives in the society, including violence, especially domestic violence and sexual abuse, as well as lifestyle challenges like ill health and hindering educational progress. The 2011 WHO report noted that one of the most effective strategies for cutting consumption of alcohol is through increasing alcohol prices, usually by raising alcohol taxes. It said that a recent review of 112 studies of the effects of the alcohol tax affirmed that when alcohol taxes rise, drinking goes down – including among problem drinkers and youth. It noted however that such steps can only work if the illegal alcohol market is under control.